Reading missionary biographies can be life changing and really challenge us in our faith. I hope these stories can whet your appetite for a deeper faith. I grew up surrounded with books about missions. The bookshelves were lined with stories of Hudson Taylor, Amy Carmichael, David Livingston, Eric Liddell, and more. It was clear by the message of these books, that sharing Jesus with all people, no matter the hardship, is a vital aspect of our Christian life. As I grew older, I hate to admit, but the stories stayed on the shelves. 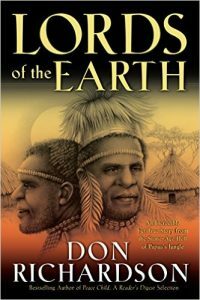 Until recently, I happened across Lords of the Earth by Don Richardson. Within a few pages, I couldn’t put the book down. These true stories of God working through people to triumph over evil became more exciting than any fiction book. Even though they often contain tragedy, the story doesn’t stop there. I shared these books with some of my friends. When they returned them, I asked what they thought of the stories. We found ourselves in a discussion of what spiritual aspects we never had before. We talked about how God prepared people for His truth, how the wives of the missionaries trusted God with even their children’s safety and health, how faith in God trumps any fear, and more. This challenged us in our faith while we marveled how God answers prayer. These books are filled with people with weaknesses and strengths who tried to serve God as best as they can. The pages tell of sinners lost and longing for a different way, a way of love and light, instead of fear and darkness. They tell of long years of disappointments, frustrations, and setbacks, only to finish the race with God being glorified. Perhaps you’re not called to go to the ends of the earth. Perhaps the ones you are called to witness to are the little ones at your feet or the cashier at the coffee shop. These stories remind us that everyone needs Christ, whether a Stone Age tribe in Columbia or a waitress around the corner. We are all called to be missionaries, whatever that may look like in your world. To get you started on this incredible journey, here is a list of must-read missionary books you shouldn’t miss. Journey back to the Stone Age era on the mountain tops of Irian Jaya where the Yali tribe lives. The men were cruel warriors who would shoot as many arrows into a victim as they could for fun and then eat the corpse. Any violation of their religion was punishable by death. Their belief excludes women, as they were considered unclean. Into this world enters Stan Dale. With an incredible heart for the lost, he is the first to live with the tribe, learn their language, and carve an airstrip out of a mountain side. Stan was completely unafraid of what man or demon could do to him. To him, death itself held no threat as it only would take him closer to Jesus. In a place ruled by fear, God sent the fearless. Take note, though. The first 69 pages of Lords of the Earth show you what life was like before Christ entered. It is very violent and graphic. 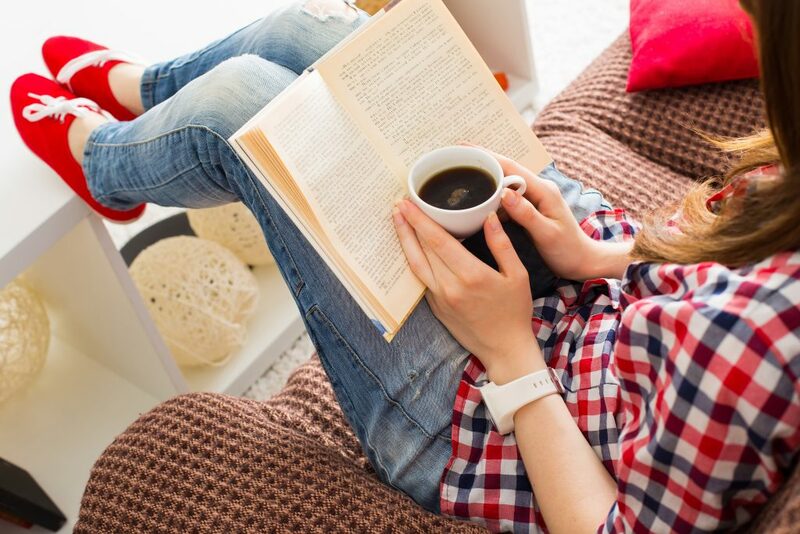 If you still want to read the book, you could skip these pages. At nineteen years old, Bruce Olson becomes a missionary in Colombia. He goes without support, a mission to support him, and without knowing any other languages. He trusted in God alone to provide and lead him to where he was called to go. Where does God lead? To a Stone Age Motilone Indians of Colombia and Venezuela with a history of killing any white people who dare venture close. This group of natives was so fierce that their neighboring tribes refused to approach their territory and guided Bruce close, only to disappear at the first sign of a Motilone. After being captured, tortured, and almost killed, he lives with them and begins the long journey of learning the language and culture to share the gospel with them. But the story doesn’t end there. He is also kidnapped by communist guerrillas and lives in captivity for nine months. 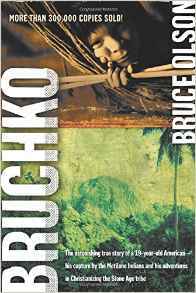 Bruchko is a bit graphic and violent at times, with discussions of disease and torture. But one of the fascinating aspects of the book is how Bruce worked within the culture instead of pushing his way on them. Bound is a short story that mixes true life events with a bit of fiction. In the early 1970s, two missionaries find themselves in a spiritual battle on the Nakoda First Nations Indian Reserve in Western Alberta, Canada. Awakened in the middle of the night by a storm that is not of earthly causes, they pray while the demonic forces rage around them. When dawn breaks, there is an outpouring of God’s love as He works in miraculous ways. 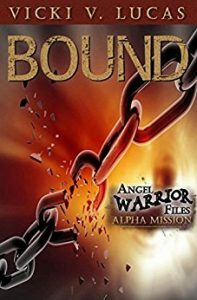 Fiction is interwoven throughout this true story by adding scenes of the angels and demons fighting around the missionaries. However, the events that transpire actually happened. When God is at work, true life is more amazing and wonderful than our imagination! Go back to Irian Jaya again, but this time experience the jungles where Judas is regarded as the good guy. On the very first chance, Don Richardson had to share the story of Jesus, the men cheered when Judas betrayed Jesus. How do you witness to a Stone Age, cannibalistic tribe who values betrayal above all else? 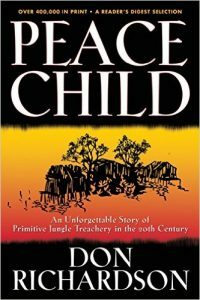 Not quite as violent as Peace Child, but certainly graphic as it details the life, violence, and betrayal that the Sawi tribe lived in. The story is fascinating in many ways, especially how God planted traditions over and over within the culture that would lead to an understanding of who Christ is and their need for Him. Battles raging outside their grass hut. Disease threatens their infant son. A sorceress duels over a life of a sick man. Through it all, God remains faithful, and He does a mighty work to where forgiveness and love, instead of revenge and hate, becomes their life. Five young missionaries join together in Ecuador with a crazy notion only God could lay on their hearts. Their mission? Make contact with the Auca Indians of Ecuador. These people had a serious repetition for killing any white person who came close to their land. Their violence and bent for killing was so well known that even the locals of the area did not venture near. Yet these young men felt God was calling them to witness to the Aucas. Despite a wealth of gifts lowered from a plane and a successful first contact, the five men were savagely killed. Reading Through Gates of Splendor challenges my faith and leads me to ask serious questions. How much would I be willing to give up for the advancement of the kingdom of God? My life? My husband’s life? And if I am called to give up either, what would my response be? Bitterness or forgiveness? Throughout these books is a theme of God laying a framework within the culture for missionaries to build on when they arrive. A story, a tradition, a symbol may be a way for the missionaries to show God’s love within the culture. 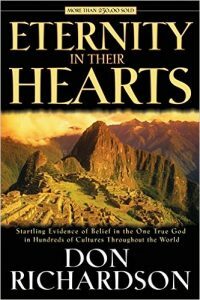 If you are interested in this subject, check out Eternity in Their Hearts by Don Richardson. Don Richardson, the author of Lords of the Earth and Peace Child, studied cultures throughout the world. There is evidence of belief in one true God with many of them. This book shows cultures with an understanding of one God Who made everything. Often these people are just waiting to find a way back to God, knowing that they have lost their way to Him. Eternity in Their Hearts is written in more of a textbook than fiction style, but it is a great study of amazing elements of theology within cultures. This book would also work for a companion study of theology or culture for teens. 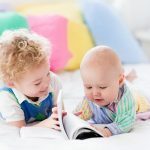 What is your favorite book about missionaries? Share in the comments why you like it! « Are You Growing Strong Inside? Thank you for your inspiring book choices and viewpoint. We are missionaries helping to mobilize and still burdened with our US brother/sisters doing the same work ‘right where they are’ (as you mentioned!). Another book we’d recommend (we’re currently reading aloud together) is Hearts of Fire by Voice of the Martyrs. 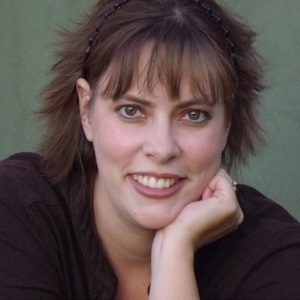 If you’re able to handle it, my friend Jenni Jessen wrote The Lucky One. 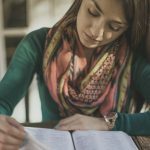 It’s a story of her victory in being a victim of trafficking and now they serve in a mighty way in rescuing, restoring, and educating. Hope these are helpful additions! God’s Double Agent by Bob Fu. Amazing testimony of faith, and a window into the persecuted church in China. My favorite book/ biography is A Chance To Die, by Elisabeth Elliot. It is about Amy Carmichael, but oh so much more! I don’t have a lot of time to read, usually doing a quick skim, getting the gist of what was read. I couldn’t do that with this book. There was so much in it, so much depth, it became my devotional for several months. I try to read it, or portions of it, at least once a year; each time God has used it to speak deeply to my heart. Yes, yes, yes. The first one I read and still my favorite. Just starting to read it again. Read THE JUNGLE PILOT!! 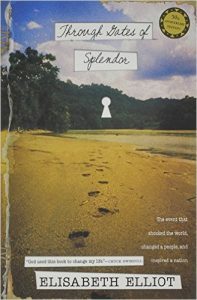 I love the way it is written infusing the writing with real letters written by Nate Saint about his life with his family in the Ecuadorian country. I too have started reading missionary stories and memoirs this last year. God’s Smuggler~Brother Andrew a must add to this list. Looking forward to adding yours to my list!